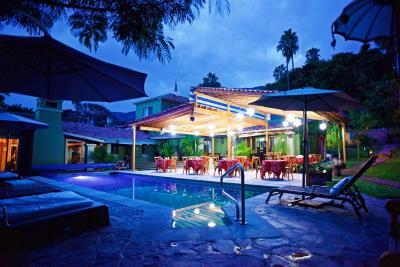 Lock in a great price for Hacienda del Lago Boutique Hotel – rated 8.9 by recent guests! The attention of the staff was exceptional. I truly felt welcomed and nurtured. The on-site restaurant was so nice after a long day traveling. The manager, Jamie, even made sure I arrived at an important meeting. I didn’t know it at the time, but I would have been challenged finding it on my own with my limited Spanish. I just couldn’t have been more well cared for by a hotel staff. There’s a spa on site too. I’ll make an appointment someday! staff were great, but we had no hot water first day and no water period the second morning during my shower. it stopped midway so I was stuck w soap all over me. The restaurant is top notch. It has a good selection and presentation was amazing! Along with a number of continental, and Mexican dishes there is a very good selection of Greek dishes too. 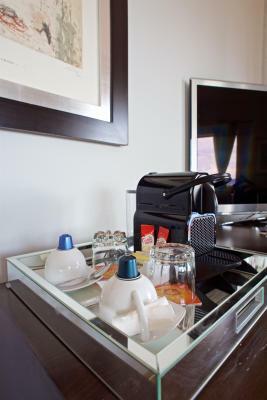 The staff are warm, welcoming and very professional providing excellent service throughout our stay. 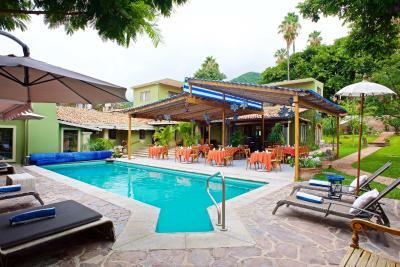 We highly recommend a stay at this hacienda when in Aijijic. 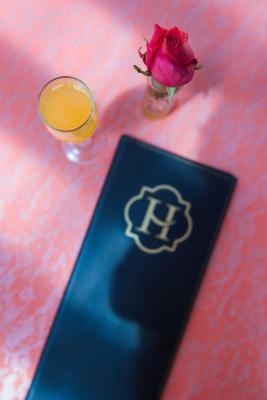 We had an amazing time at the hacienda, enhanced by a wonderfully friendly & helpful staff. The owners and everyone on staff were so generous and accommodating. 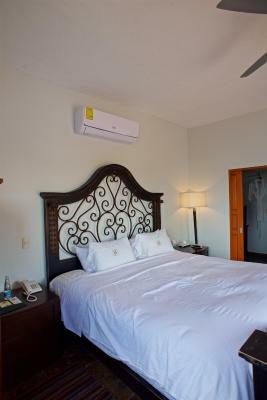 Our rooms were comfortable, spacious, quaintly Mexican styled with a modern twist. The meals we ate were phenomenal! The menu was not super extensive but everything we ordered was very fresh and filling. 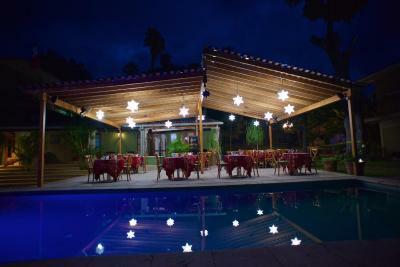 Definitely recommend if you can't get a room at the Hacienda Del Lago, you at least come for a meal in the restaurant. The grounds were luscious & we loved looking at all the plants & unique colorful flowers. Clearly well kept. And the pool was refreshing as well. 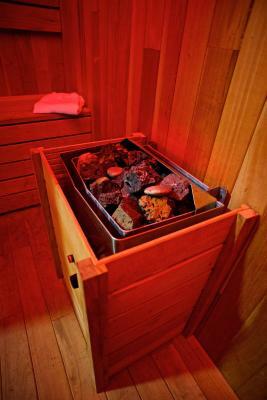 I can't comment on the spa services and wish we'd had more time to utilize. 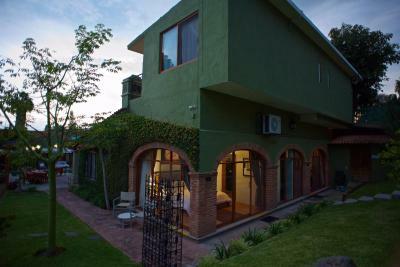 The proximity to central Ajijic, the malecon & all the shops was very convenient and a quick walk. We truly loved our stay here and don't have a single complaint, would highly recommend to others. Yes, the bed was like a cloud. We loved every moment of our stay in this small gem. The staff was very friendly and went out of their way to accomodate us. 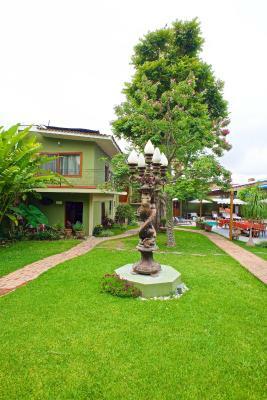 We loved the location as it is very close to the center of Ajijic but also within an easy walking distance of the Malecon. The staff was amazing! We had such a wonderful time and they responded to all of our requests or needs immediately. Staff were very friendly and accommodating. My room was comfortable, if a little too warm. But it had been unseasonably warm the day I arrived and the room had been closed up with no AC. The food in the restaurant was world class delicious. The staff was excellent. The bed very comfortable. Hacienda del Lago Boutique Hotel This rating is a reflection of how the property compares to the industry standard when it comes to price, facilities and services available. It's based on a self-evaluation by the property. Use this rating to help choose your stay! 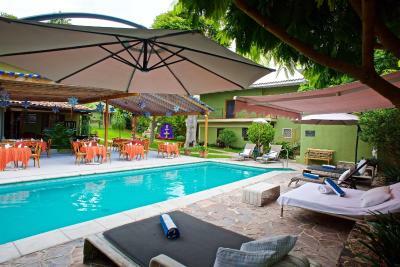 One of our top picks in Ajijic.Hacienda del Lago Boutique Hotel offers colonial style accommodations in Ajijic. 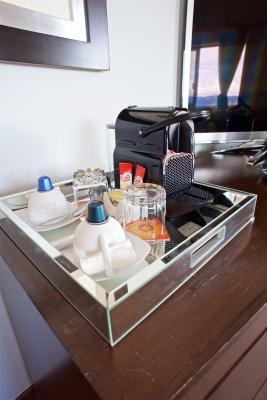 There are spa services, concierge, an outdoor pool, and a Pod (Nespresso) coffee machine. 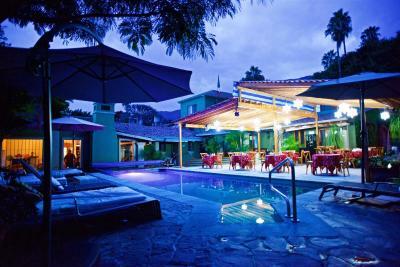 Hacienda del Lago offers stylish rooms with free WiFi in public areas, iPod docking stations and free toiletries are icnluded. Some suites have a terrace. Services such as massages, meals and transfers to local destinations are available on request. 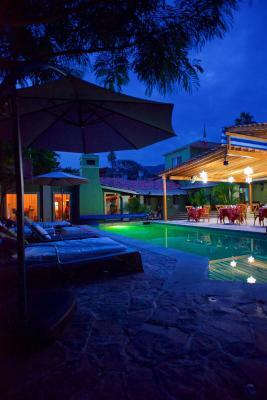 Lake Chapala is just 2 blocks from Hacienda del Lago. 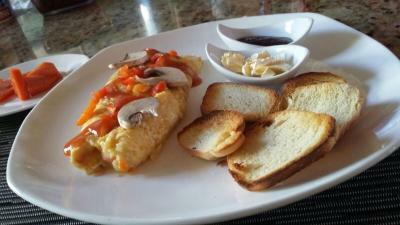 Restaurants offering Mexican and international menus are available within walking distance. 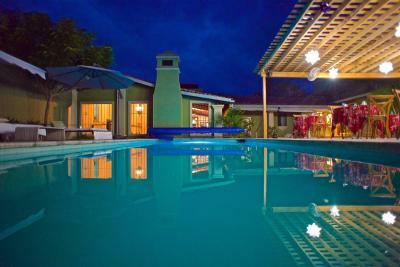 When would you like to stay at Hacienda del Lago Boutique Hotel? 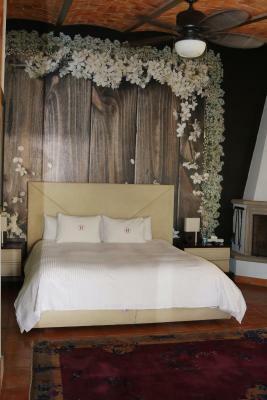 This suite features a King size bed, high ceilings and a built in library behind the bed. It also includes a Pod Coffee Machine, an Apple TV and a seating area. The bathroom includes a large hot tub, a walk-in shower with a garden. 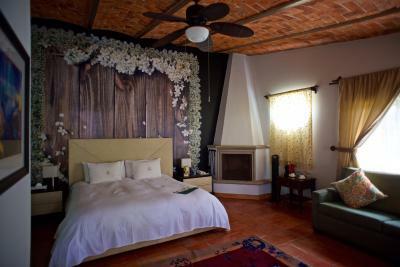 You can also find several skylights, a wrought iron chandelier and a decorative fireplace within the suite. 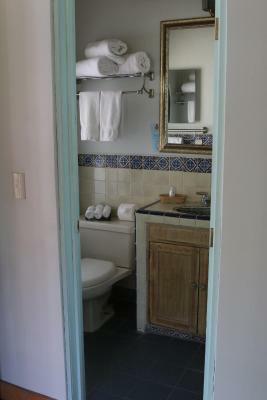 This double room features a bathrobe, tile/marble floor and electric kettle. This suite features a hot tub, seating area, mini-bar and lake view. 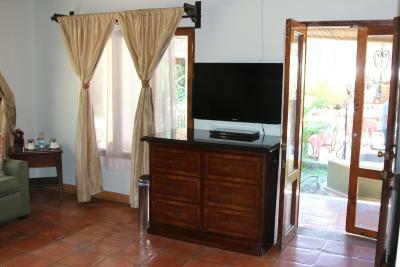 This double room features a hot tub, mini-bar and satellite TV. 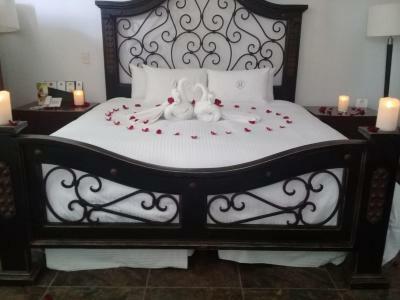 House Rules Hacienda del Lago Boutique Hotel takes special requests – add in the next step! 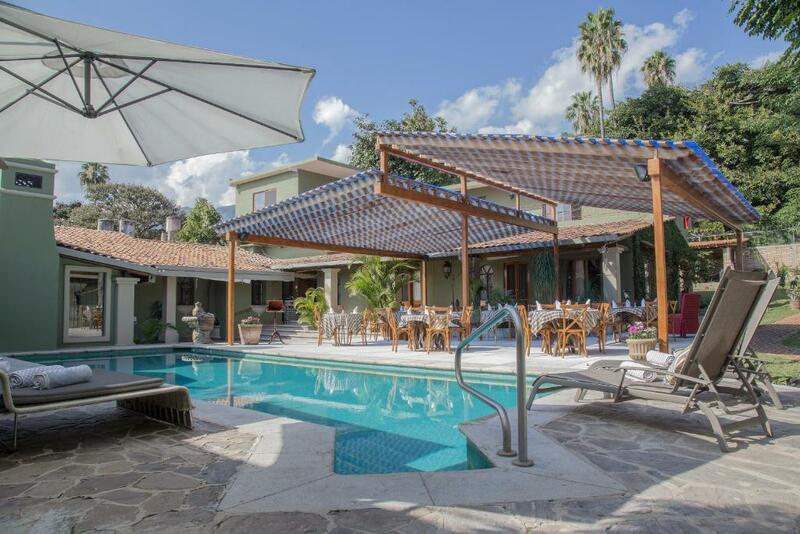 Hacienda del Lago Boutique Hotel accepts these cards and reserves the right to temporarily hold an amount prior to arrival. Please note that the property has a seasonal restaurant with limited working hours, there are times of the year it is closed. Please note all breakfast must booked at least 24 hours in advance with the property directly. Bed was extremely comfortable and meals were world class. Location was perfect as we liked our daily sightseeing walk abouts. The coffee really could have been stronger, maybe more organic and stuff like toasted pumpkins seeds and yogurt on the breakfast menu. But really, the menu is fabulous as it is. The continental breakfast that was included in the room rate was disappointing. The fruit plate was ok and fresh but on our last morning we got one tiny, stale roll, no butter and enough jam for one of the rolls. We were not impressed with this particular member of staff who almost threw the food at us and on our first day, having taken our luggage to the room, said he would return with WiFi password and after two hours of waiting we had to go and ask someone else. Bed was extremely comfortable. Staff on reception were great. Food for two nights with different menu s were excellent. Lovely and quiet. Even when all rooms were occupied, very peaceful. Well, there is actually no real parking space, but the street is a not highly frequented so we were comfortable to park on the street. Other than that there is no downside to this small hotel. We loved it. It's a lovely little oasis. The grounds are lovely. The beds are comfortable. The food is delicious. Above all, the service is impeccable. Looking forward to our next visit. Better cooling for the room. When I booked I got one price, $288. Additional charges of $20 US per day for my dog and taxes brought the bill to over $400. I’ve not had that problem with Booking.com before. Why now? The included continental breakfast was very good. 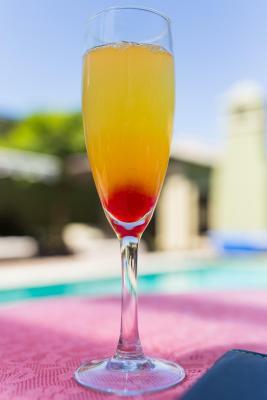 Fresh squeezed orange juice, toasted rolls with jam and bunches of fresh fruit! 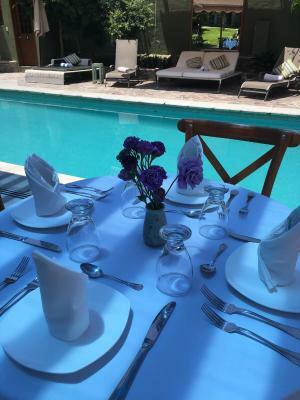 The staff and cleanliness of the property was exelent not much going on in the evening food was very good but no people dining.The pool was lovely always clean towels and attentive staff.Yes I would probably book some time in the future.